Out of the original seventy-nine episodes of Star Trek, one of the most respected and beloved is The City of the Edge of Forever. Written by Harlan Ellison the story is one of the more thoughtful and tragic in Trek Canon. It was also the first episode to feature a temporal plotline. Doctor Leonard McCoy (DeForest Kelley) accidently receives an overdose of medication and flees the Enterprise while in a delusional state. Beaming down to an alien planet he uses a temporal gateway (The Guardian of Forever) to travels back in time to earth during the Great Depression. By doing so he accidentally changes history. Captain Kirk (William Shatner) and Spock (Leonard Nimoy) follow him through the gateway to New York in hope of correcting the timeline. While awaiting the arrival of McCoy, Kirk falls in love with Edith Keeler (Joan Collins) who runs the 21st Street Mission. However he and Spock soon determine that to restore the timeline they must allow her to die. Cryptic have announced that they will be removing the Foundry from both Star Trek Online and Neverwinter on April 11th. 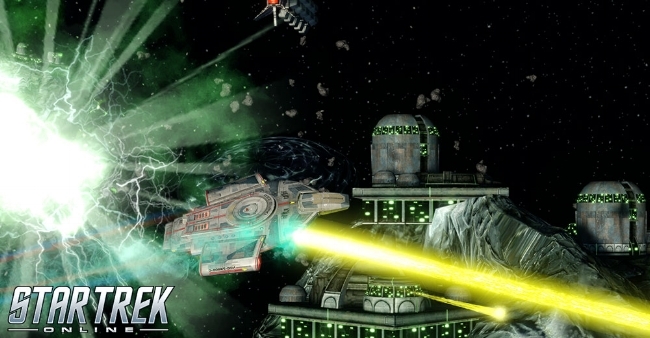 The Foundry was first introduced to STO back in 2011 and has proven a popular means for players to create and share their own missions, using in-game assets. Cryptic state in their press release that “the legacy knowledge required to maintain the Foundry at our quality standards is no longer available”. This is a roundabout way of saying that the member of staff responsible for curating and quality testing the service has no left the company. Naturally, Cryptic has stated that they will acknowledge those players who have contributed to the Foundry over the years by handing out various virtual trinkets and baubles. There has been quite a strong reaction of the STO subreddit as no one like to see content removed from a game. However, the isn’t a black and white as it first appears, because the Foundry has been broken for a while. There was a post today over at Keen and Graev’s Gaming Blog, which raised the subject of “corpse runs” in old school MMOS such as Ultima Online. In-game death came with penalties back then and there was the prospect of XP loss or that your corpse could be looted, and you could potentially lose rare gear. It got me thinking because I’ve never played an MMO that has had, to my mind, such harsh sanctions. In fact game mechanics such as permadeath, corpse runs, and the loss of equipment will put me off playing any such game that has them. I suspect that unless you’re a player who is particularly motivated by achievement, competitiveness and challenge, then such systems are seen mainly as an inconvenience and impediment. One of the commonest laments you’ll hear from Star Trek Online devotees is that the game is too orientated around confrontation and combat; there aren’t enough diplomatic, exploration and general non-combat missions in the game. It’s a matter I have mixed feelings about, because if you watch Star Trek TOS, then Kirk and the crew of the Enterprise didn’t always live up to the ideals that The Federation extols. However, this did change in later shows. I certainly wouldn’t be averse to having more non-combat missions in the game, although they would have to be of some substance to merit my interest. The removal of the Exploration Cluster missions from STO, in July summer 2014 was justified in my opinion, as they were somewhat arbitrary. However, if you take content out of a game, then it would be preferable to see something else put back in its place. 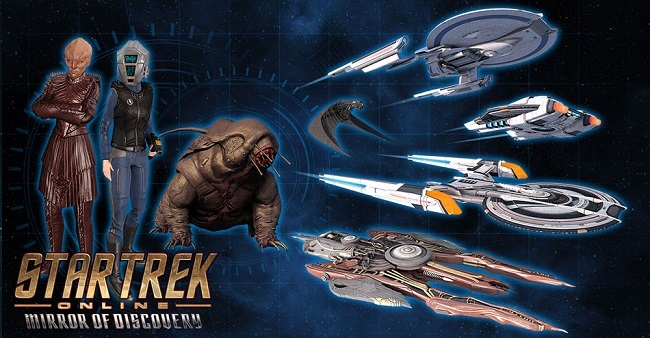 There has been a degree of controversy over the Discovery Operation Pack that has recently been made available for purchase in Star Trek Online. 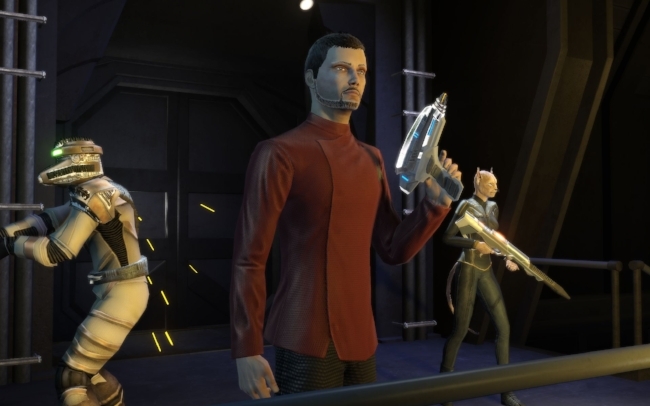 The bundle featuring ships, bridge officers, cosmetic items and more is displeasing some core players who feel that it is over priced and lacks anything relevant for Romulan and Klingon races. Personally, I’m only interested in two specific items from the pack, such as the Tier 6 Gagarin Miracle Worker Battlecruiser and the combat pet Tardigrade but at present they cannot be purchased separately. So, I shall not be parting with any money at present. The Gagarin Miracle Worker Battlecruiser is relatively similar to the Tucker Tactical Miracle Worker Cruiser, which I already own. However, it is an improvement aesthetically speaking (a subjective point, admittedly), so for me the obvious compromise is to purchase the fleet version and forgo the unique space trait and settle for an additional console slot. As I’m not a high-end player, the look and feel of a ship has as much appeal to me as its stats. I have suffixed the title of this post “and stuff” so I can address several Star Trek Online related thoughts in a single blog post. Despite the fact that I frequently play STO it is does oddly get neglected in my writing. So, let us start with the issue of the ninth anniversary. As ever Q is back with the anniversary event and once again, we are stabilising Omega Molecules. This year’s reward is a Tier 6 Vulcan T’Pau Scout Ship. There are also emotes and sundry other items to earn during the duration of the festivities, but I more interested in the anniversary itself. Not many MMOs make it to nine years and if they do, they aren’t necessarily in as good shape as STO. The game has a stable and loyal playerbase and is currently tied-in to Star Trek: Discovery. Further established Trek actors are supplying voice acting and the game seems to be doing well across both PC and consoles. Like LOTRO, STO uses the IP well and seems to “fill in the gaps” in the existing lore as well as expand and extrapolate established canon. One of the best things about STO is that there’s always something to do in-game as well as new content in the pipeline. Perhaps this along with the handling of the IP is why the game endures. There is a strong social element to video games, regardless of the genre. Gamers like to share their thoughts and opinions with others via forums, blogs and videos because of their common interest. So, it is hardly surprising that video game enthusiasts like to take screenshots and preserve a record of their activities. Subsequently, the ability to capture an image from a game has now become an integral aspect of gaming culture and many titles now have a dedicated screenshot facility. This may range from a simple screenshot key to a comprehensive photo mode in which you can pause the game and pan the camera around the game environment. It’s a far cry from two decades ago when players would often have to rely on bespoke third-party programs such as FRAPS to take screenshots, or simply use the PrtScn button and then paste the image into a photo editor. It’s a curious thing that despite having played the MMORPG Star Trek Online, fairly regularly since its launch in 2010, I don’t write about it consistently. This realisation has given me pause for thought because I’ve spent a of lot of time playing my primary character over the years. I enjoy the fundamentals of this game. It is very lore friendly, with strong narratives and themes. As a hybrid free-to-play game it is very accessible, especially to new players. There are regularly events and activities scheduled throughout the year, outside of the core game content. And yes, if you want to sink a fortune buying ships from the cash store, you certainly can do so but it is not essential to have a positive game experience. Yet despite many positive points, looking back over my written output this year, STO doesn’t get as much attention from me as LOTRO. Which I guess is the reason for this post. I feel “obliged” to say something about the game. 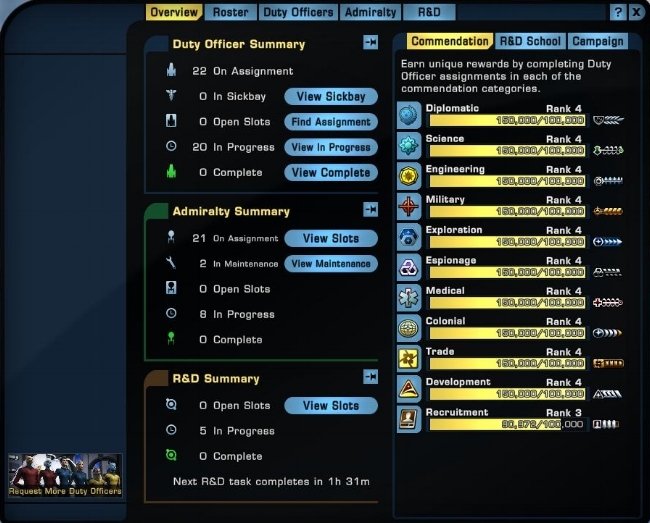 Star Trek Online has recently revamped group PVE activities and rebranded them Task Force Operations. These are just instanced events designed for five players, that have a handful of objectives and a boss fight at the end. Players can group with friends or use the auto-grouping tool that is available, to play through TFO of their own choosing. Alternatively, there is the option to join a pick-up group and play a random TFO for greater rewards. Now although not unduly complex, TFOs usually have a basic set of rules to follow if you want to complete them quickly and efficiently. For example, closing dimensional portals reduces the number of trash mobs joining the TFO, so it makes sense for at least one of the five players to focus on this activity. However, PUGs are open to all players and therefore there is always a chance that you may group with an inexperienced player or someone who wants to do things “their way”. Either way, if you are seeking optimal gameplay, then PUGs may not be the best place to look. Please note the question mark in the title. This is not a news post announcing that Standing Stone Games are offering lifetime subscriptions for The Lord of the Rings Online once again. Don’t go getting over excited. I am simply raising the question as to why they haven’t chosen to do this since they announced their “acquisition” of both LOTRO and DDO back in December 2016. Because broadly speaking, it would appear that LOTRO is doing well under the auspices of SSG as opposed to Turbine. The game had a much-needed expansion, Mordor, added a new race and has a clear road map for what is beyond the recently released Update 23: Where Dragons Dwell. Furthermore, we have the imminent launch of a new progression server on the 8th of November. The licensing issue has been laid to rest and changes at Middle-earth Enterprises and the Tolkien Estate have surely had beneficial results. The game may not have the player base of some MMOs, but its core audience appears to be loyal and stable. Surely, with LOTRO enjoying a gaming renaissance, now would be a good period to capitalise upon? Having replaced my hard drive with a solid-state drive, I’ve had to re-install various games, along with all the other apps and programs I use. However, the smaller size of the new SSD has meant I’ve had to think long and hard about which title I choose. At present, I’ve limited myself to the two MMOs that I regularly play; namely The Lord of the Rings Online and Star Trek Online. Both have improved loading times as a result of running via a SSD and are performing a lot better than previously. I also prefer clean installations, rather than long term game setups that have been through numerous patches and updates. It was interesting to note that LOTRO now installs into a Standing Stone Games folder, rather than one marked Turbine. Sadly, STO required using either Steam or Arc as a means of installing the game. I opted for Arc, purely because it has a useful facility for redeeming game codes build into the launcher. Plus, you can bypass Arc and launch the game client directly if you want. “What's in a name? That which we call a rose by any other name would smell as sweet”. William Shakespeare, Romeo and Juliet. There are two types of MMO players (actually there aren’t but I’m invoking a figure of speech as an opening gambit for the overall thrust of this post, so there). Those who meander through the character creation screens only to be taken by surprise by the fact that at the end, they now have to provide their avatar with a name of some kind. And then there are those who have a complete dossier compiled in advance, shedding light on the entire back story and life history of their new alt. Naturally, the latter group will already have a name prepared with much love and care. It will be relevant, appropriate and most importantly of all, it will afford them a much greater degree of connection with their in-game character. Because names are an integral part of identity and that is a much bigger aspect of MMO player psychology than some imagine. Would you simply want an index number instead of a character name? 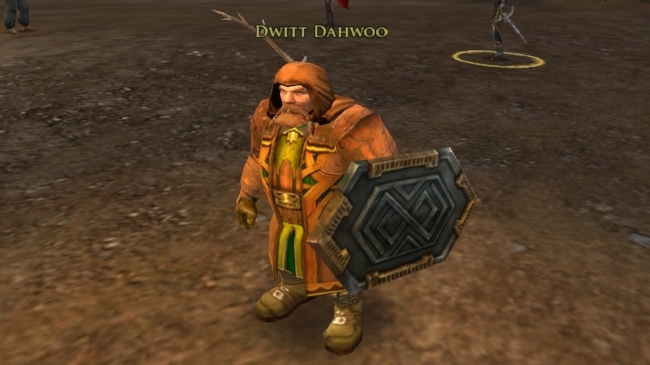 Over the last few days, I’ve been working towards achieving “ally” reputation status with the Men of Dale while playing LOTRO. There were two particular armour pieces that I desired, which would enhance my statistics, that were gated behind this achievement. I’ve been also grinding for several jewellery items, which require 5,000 Motes of Enchantment. I was sufficiently close last night that I actually took the time to work out exactly how much XP was outstanding and what was the optimal way to earn it. I made a few notes on paper and determined that three repeatable quests and five tasks would be sufficient to reach the target. As of today, the calculation proved right, and I now have the two armour pieces equipped. The jewellery is proving more difficult as Motes of Enchantment are a lot harder to come by. That project remains an ongoing concern. The title to this post is rhetorical. I’ve figured out where the specific community in question is. 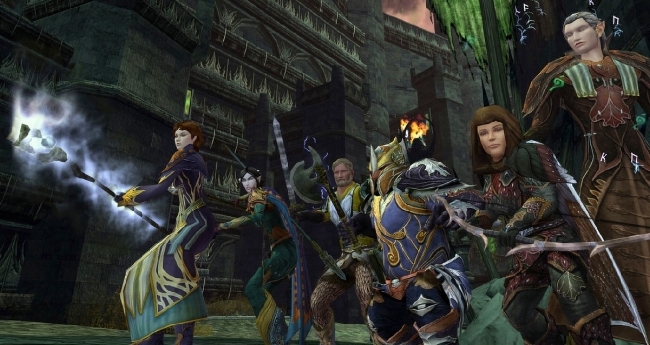 As regular readers know, my first MMORPG was The Lord of the Rings online back in 2008. It had back then an active blogging community, which still exists today to a degree. The official forums are active and continue to be useful for information, but for me the primary source of news, guides and general analysis of the game is written content that is maintained by individual players. There are also lots of active streamers and video on You Tube, but I find I can locate and digest the information I require far quicker when it is presented as text. I guess I am simply a product of my generation and prefer the written word as my primary source of data for most things. However, more recent MMOs have developed communities around different platforms. As a result, it can take a while to determine where they are and get used to their habits and ways. Developer’s Cryptic announced this week that the various Red Alerts that are currently available continuously in Star Trek Online would hence forward, only be available to players on the weekend. Their official explanations was as follows. Starting this weekend, Red Alerts are moving from being always available to being special weekend events, with improved rewards! When these Red Alerts are live, you’ll be able to earn 35 Marks of your choice every time you play, with no cooldowns to prevent you from getting back into the action. These Task Force Operations will return to the galaxy regularly, as the groups of invaders do their best to take control of the four quadrants of the galaxy. As with any change of this nature, it has not been met with open arms by the STO reddit community and the official forums. Broadly speaking, dailies are repeatable quests or activities that are designed to keep you engaged and busy within the MMO genre. They are a supplement to main story quests and often offer a long-term goal and reward or provide barter tokens for a range of gear. They can sometimes be used as an alternative means of gaining high-end gear for players who cannot or will not raid. Dailies also offer an additional means to level an alt, for players who are tired of repeating primary content that they are over familiar with. Along with log-in rewards, dailies are designed to entice players into regular play. They offer quick, repeatable content along with a clearly defined bauble or trinket, making them ideal for players who have a limited amount of game time. Hence, you’ll find variations thereof present in most MMOs. Cryptic are currently running a promotional giveaway for Star Trek Online, in which the top prize is an exclusive ORIGIN Millennium Gaming Desktop themed PC with artwork from Star Trek Online: Victory is Life. It’s worth $3, 272, looks spiffy and has robust specifications. There all also various other runner up prizes, such as the Gamma Vanguard and Gamma Vanguard Starter Pack. 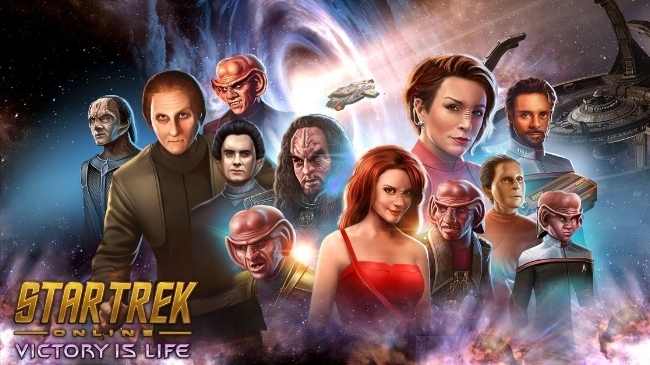 If you enjoy STO then this is a good value giveaway with a fair selection of rewards. Or at least it is at first glance. If you read the ubiquitous small print that comes with any sort of endeavour such as this, you’ll quickly spot that you can only enter the giveaway if you’re resident of North America. And therein lies the problem with so many competitions these days. Despite games having a global market, giveaways are frequently hamstrung by regional restrictions, rules and regulations. Star Trek Online is a curious beast compared to other MMOs. Although the characters that you create have gear, skills and traits to advance, it is your ship that is the real focus of in game min-maxing. The game also has several strong narrative arcs that dovetail superbly into existing Trek lore. The fact that numerous actors from the original TV shows have returned to voice their characters in the game, is another feather in the hat for Cryptic, the games developers. STO recently had a major lighting and game engine overhaul to accommodate it’s launch on the console market. Yet despite many very positive factors, there are still times when STO feels a little clunky and lacking in polish. Cutscenes can be problematic and the game has some persistent bugs and glitches. However, despite some flaws the MMO has a strong and loyal fanbase who play actively and pay prodigiously. This is also a game with a large number of whales in its wider community. This post stems from an issue that came up recently while progressing through The Elder Scrolls Online. However, similar situations have occurred in other MMOs that I’ve played over the years. 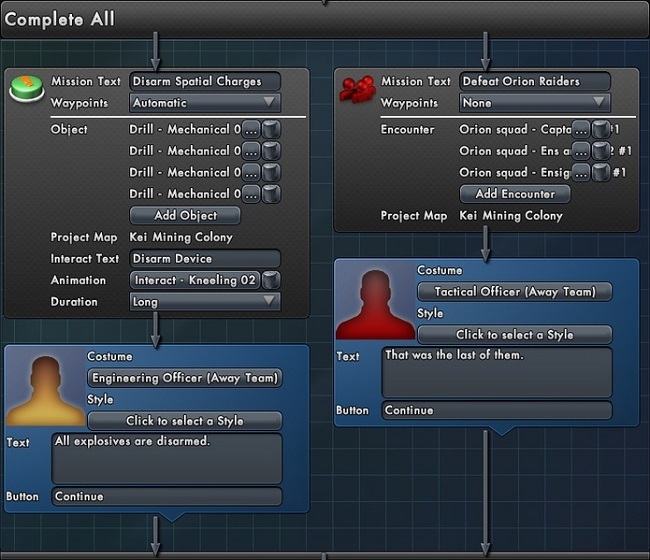 Most games of this genre have a standard mechanic in which the player is awarded skill points as they level up through the game. These points are subsequently spent unlocking new abilities or improving existing skills. Often there are a finite amount of skill points to earn in the game. Naturally, at some point, even the most casual MMO player will have to consider how they intend to spend their skills points, because they do have an impact upon your build. That is the entire point of the skills point mechanic. You customise your skills according to how you play and what type of build you wish to achieve. More often than not, the new player who is still at a relatively low level, will simply read what abilities can be unlocked and make an intuitive choice. At this stage, putting a few skill points into health, stamina, or increasing your DPS seems a sensible choice. I’ve been in the same LOTRO kinship (a.k.a. guild) since 2009. It’s relatively small in size, made up of a core group of about 20 players and their various alts. Everyone knows each other, and we all get along. There’s a broad spectrum of members from across the UK and Europe and the average age is about 35 plus. We’ve had some drama in the past from a few individuals, but they’ve either left or stopped playing. I don’t recollect there ever being an occasion when someone was. After ten years the kinship is at a point where it just ticks over without any major problems. There are events and activities for those who wish to participate, or if you prefer to simply potter about Middle-earth, then you’ll be left to do so. In the past we’ve had our own kinship website and forums, along with TeamSpeak server and other external support facilities. Bu all of these have fallen by the wayside as the Kinship has evolved. We now just focus on playing the game. Overall, the kinship is a friendly bunch and a good fit for my casual style of gameplay, which is why I’ve remained a member for nine years.